UK Stampin' Up! Demonstrator | make beautiful cards | Crafty Hippy: Make a beautiful flower card: The Lots of Lavender Stamp Set by Stampin' Up! Make a beautiful flower card: The Lots of Lavender Stamp Set by Stampin' Up! 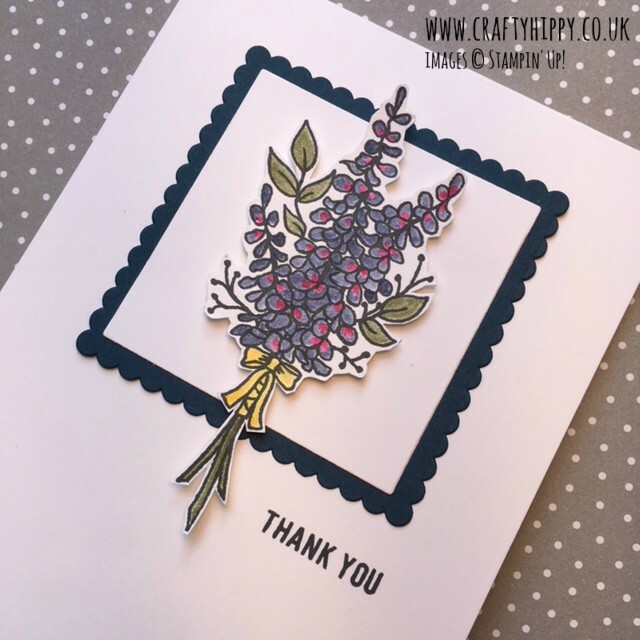 Did you see the Lots of Lavender card I made earlier in the week? This is an exact copy of that card but I have changed the colours - doesn't it look completely different!? 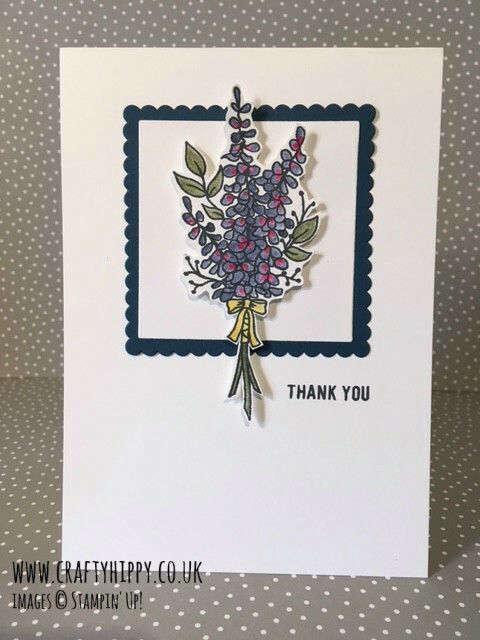 That's the beauty of the Lots of Lavender Stamp Set - even just a difference in colour can radically change the look you are creating. Stamp your flowers using the Tuxedo Memento Black Ink Pad. Leave that to dry. 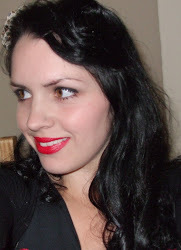 Use a Blender Pen to colour your posy in Night of Navy and Rose Red. I used Always Artichoke for the stems and leaves and some Daffodil Delight for the ribbon. I used Night of Navy Cardstock and the Layering Squares Framelits Dies (in the Big Shot) for the background. So simple and elegant. 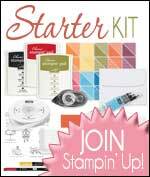 You can get this stamp set FREE when you spend £45 on Stampin' Up! products, in fact get a free gift for every £45 spent (excl. P&P). Take a look at Sale-A-Bration for more details.